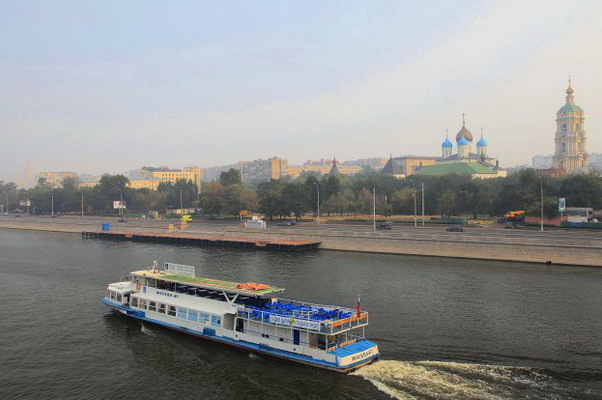 Passenger ship Franz Lefort ran aground under the Novospassky bridge in the center of Moscow, Russia. The vessel with 32 passengers and 28 crew was maneuvering to approach the pier, but ran aground at mud shallow and stuck. The accident was reported to local authorities and at the scene were sent rescue boats, where were evacuated all the passengers from the troubled ship. 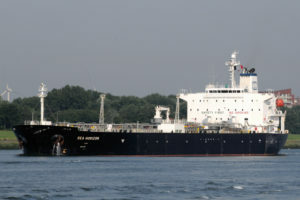 The fire and rescue teams were sent at the scene to ensure safety, but there were no reported hull damages and injuries. Later the passenger vessel Franz Lefort was refloated by own means and proceeded to the pier by own power. There were no reported oil leaks and pollution at the area. “For security reasons, Moscow rescuers with the help of boats carried out the evacuation of about 32 passengers ashore. There are no injured people”, told official statement of the local authorities. The passenger ship Franz Lefort will return in service after safety inspection. The investigation for the root cause of the accident is under way. 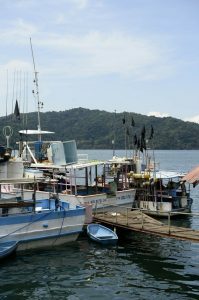 According to initial information, the vessel was pushed by currents into the mud shallow, but there was no immediate danger for the passengers and crew. The passenger ship Franz Lefort has overall length of 33.80 m, beam of 5.70 m and maximum draft of 2.50 m. The vessel is under management of JSC Russian Steamer Company.